This is the account of how four senior partners from the auditing firm of PricewaterhouseCoopers blatantly violated the laws of the land. 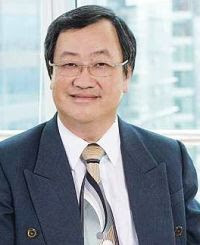 The leader amongst the four senior partners who has brought disrepute not only to the firm of PricewaterhouseCoopers malaysia but also to the regulators is none other than Chin Kwai Fatt, the Managing Partner of PwC Malaysia. 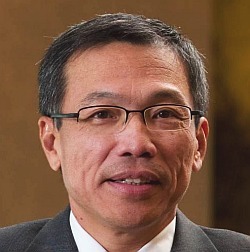 Chin Kwai Fatt, MD of PwC Malaysia, who has not reported this blog to the Police or the MCMC. On the 1st of April 2010, the firm of PricewaterhouseCoopers was registered by the Audit Oversight Board on its very first day of operations. Even though the AOB itself states that it will take an average of two weeks to complete the necessary checks and inspections before it can deem that an auditor fulfills the 'fit and proper' criteria, the fact that the Director of the AOB is a former PwC man, meant that no one questioned how the firm of PwC was registered on the 1st of April 2010. What necessity was there for Chin Kwai Fatt, Datuk Seri Johan Raslan, Khoo Chuan Keat and Lee Tuck Heng to ensure that their firm was registered by the AOB without undergoing the necessary inspections? That they managed to get PwC registered on the first of April, even though the provisions for the AOB to collect the fees for registration was only made on the 15th of April 2010, makes it apparent that these four masterminds have absolutely no regard for the laws of the country. When the questions were raised in the Malaysian Parliament, they had hoped to pull the wool over the eyes of the people by stating that the AOB accepted something called a 'surat aku janji' from PwC so that the registration could be fast tracked, despite the fact that the law states that the application must be accompanied by the required fees. Chin Kwai Fatt, Datuk Seri Johan Raslan, Khoo Chuan Keat and Lee Tuck Heng, can you produce a certified copy of the 'surat aku janji' that you used to get your firm registered as auditors of PIE's without having to go through the necessary inspections by the AOB? Khoo Chuan Keat, who signed a false declaration in 2009 for the annual returns for the firm of PricewaterhouseCoopers Consulting Sdn Bhd. Repeating the false declaration signed by Chin Kwai Fatt in 2008 for the same company. The fact that these four senior partners had been using a tainted auditor for the books of PricewaterhouseCoopers Consulting Sdn Bhd, should have served as a warning to any and all regulators that there is a need to have a closer look at things. But by getting their fellow partner appointed as the Director of the AOB, they have managed to escape scrutiny of the long running fraud they have been perpetrating on the creditors of PricewaterhouseCoopers Consulting Sdn Bhd. But their need to keep the regulators from taking an interest in their past actions meant that they had to do everything necessary to ensure the 'mystique' that comes with the name PricewaterhouseCoopers was not the only thing that was preventing the regulators from knocking on their doors. So they knocked on the doors of the regulators instead, and got their man in. But when they faced the prospect of the truth coming out in the Malaysian Parliament, they convinced the AOB to come up with the ludicrous reply that it accepted 'surat aku janji's' from PwC. Even if they manage to convince the people that they had in fact used a 'surat aku janji' to get registered, it does not change the fact that the AOB had broken it's own provisions under the law in accepting the 'surat aku janji'. The lengths to which these four senior partners have gone to hide their misconduct and fraud is beyond comprehension. The fact that they have also managed to drag in the regulators and the Malaysian Parliament into the mess they have created clearly shows that they are a threat to the efforts to improve the Corporate Governance framework in the country, and an affront to the auditing profession in general.